Hello and Welcome to our preview for Kandy vs Dambulla T20 match. 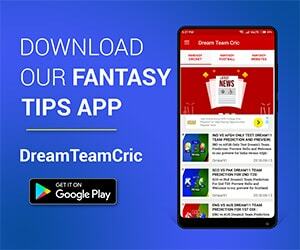 We are covering KAN VS DAM Dream11 Team Prediction, Preview and Probable Playing XI for the match. The match is to be played at R. Premadasa Stadium, Colombo. Kandy and Dambulla will face in the second encounter on the inaugural day at same ground in evening. Both teams would try to win this match and get early momentum ahead in this 12-day long tournament. Kandy have a strong squad balanced in all departments. They are boosted with many experienced players like A Mathews, K Perera, L Thirimanne, L Malinga, D Shanaka, M Pushpakumara and L Gamage. Good performance will be expected from all the players. Dambulla is also having a balanced squad with few international players willing to get a permanent place in national team so all players will be eager to put a good performance in this series. S Samarawickrama, D Gunathilaka, A Priyanjan, L Sandakan, I Udana, A Aponso and W Hasaranga, D Perera and T Perera will be the main players. A good match can be expected between both the teams. KAN VS DAM, 2nd Match, Super Provincial T20 Tournament 2018. Angelo Mathews (C), Thikshila De Silva, Sadun Weerakkody (wk), Charith Asalanka, Dananjaya Lakshan, Dasun Shanaka (vc), Lahiru Thirimanne, Sachith Pathirana, Kusal Janith Perera (wk), Nisala Tharaka, Malinda Pushpakumara, Praveen Jayawicreme, Vshwa Fernando, Lasith Malinga, Nipun Ransika, Bhanuka Rajapaksa, Janaka Sampath, Janith Silva, Camila Karunaratne, Lahiru Gamage, Kaveesha Anjula. Thisara Perera (C), Isuru Udana, Ruvinudu Gunasekera, Nipun Karunanayake, Danushka Gunathilaka, Dilruwan Perera (vc), Sadeera Samarawickrema (wk), Ashan Priyanjan, Ramesh Mendis, Minod Banuka (wk), Wanindu Hasaranga, Ramith Rambukwella, Lakshan Sandakan, Amila Aponso, Sehan Madushanka, Dilesh Gunaratne, Vikum Sanjaya, K.K. Kevin, Nawanidu Fernando, Irosh Samarasuriya. Angelo Mathews will lead the side. Either Charith Asalanka or T De Silva will play. One among D Lakshan or Nipun Ransika will play. L Thirimanne, K Perera, A Mathews, S Pathirana and D Shanaka will be the key batsmen. K Perera, A Mathews and D Shanaka are in good form recently. L Malinga, L Gamage, V Fernando and D Shanaka will hold the pace department while m Pushpakumara and S Pathirana will be the key spinners. L Malinga was impressive in recently concluded Canada Premier League. Thisara Perera will lead the side. He is good form recently. All Rounder R Rambukwella or N Karunanayake will play.According to pitch, fast bowler V Sanjaya or batsmen R Gunasekera can play. 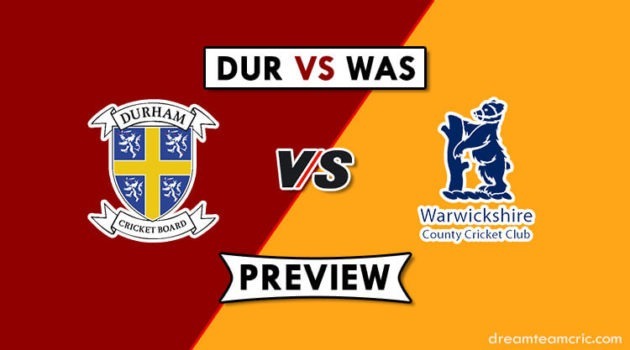 S Samarawickrema, D Gunathilaka, A Priyanjan, D Perera and T Perera will be the key batsmen. W Hasaranga, L Sandakan, A Aponso will lead the spin department while I Udanaand T Perera will be the key pacers. T Perera, D Shanaka, K Perera, A Mathews.